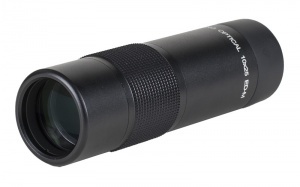 The Viking 10x25 ED-M Monocular is a lightweight and handy monocular with superb optical performance. The close focus is around 1.6m so you can look at butterflies and other insects without disturbing them. The ED glass objective lenses provide clear, bright and sharp images even in poor light conditions.